Africa is home to an emerging community of social entrepreneurs who care about people and the environment, and their inventive spirits are being harnessed to create jobs and opportunities for vulnerable people. One such business is All Women Recycling in Cape Town. The company employs single mothers and women with little to no work experience or education. Unlike most businesses, All Women Recycling founder Lynn Worsely wants her employees to eventually move away from the business, either to better jobs or to their own businesses. 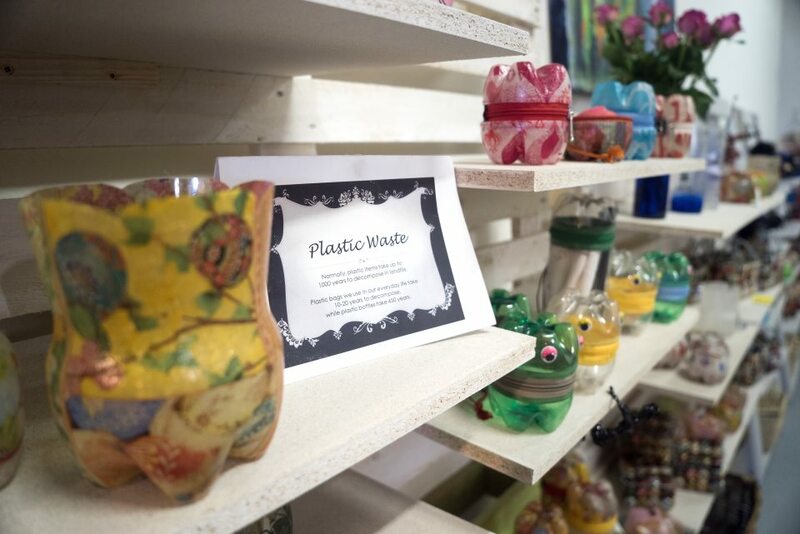 All Women Recycling buys plastic bottles from dumps and waste collectors and turns them into decorative gift boxes to sell here and abroad. They prevent half a million bottles, or over 18 tonnes worth of plastic, from reaching the rubbish dump each year. South Africa dumps more than a million tonnes of plastic annually. 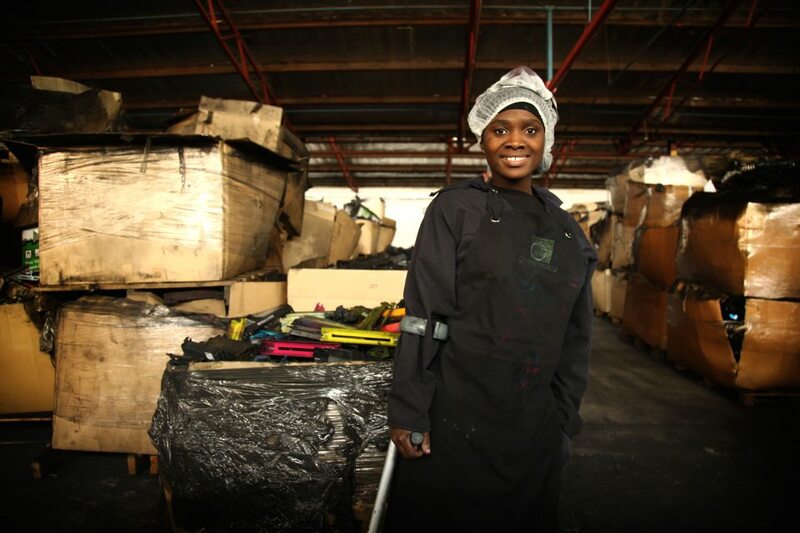 Similarly, Pinetown based non-profit greenABLE – which dismantles used printer cartridges and sells the plastic and metal components for further recycling – provides employment for physically disabled people. It helps them obtain the skills or education needed to pursue tertiary education or higher paying jobs. “Our mission is to change the lives of our beneficiaries by awarding them with a funded learnership, which incorporates employment, life skills, education and work integration skills. We believe in giving them a second chance to live the lives they deserve where their abilities outshine their disabilities,” says greenABLE PR and fundraising coordinator Sarah Ramkumar. Of the 85 people who have been through greenABLE’s programme, 23 have found permanent employment and three are studying at university. The 42 who are still on the learnership support more than 200 dependents between them. At the same time the company prevents up to 30,000 empty cartridges from reaching landfill monthly. This equates to around 18 tonnes of plastic, metal and aluminium. While that equals just over 3% of the total cartridges dumped in South Africa annually, greenABLE plans to expand to other provinces. It wants to recycle even more cartridges, and give opportunities to as many people living with disabilities as possible. 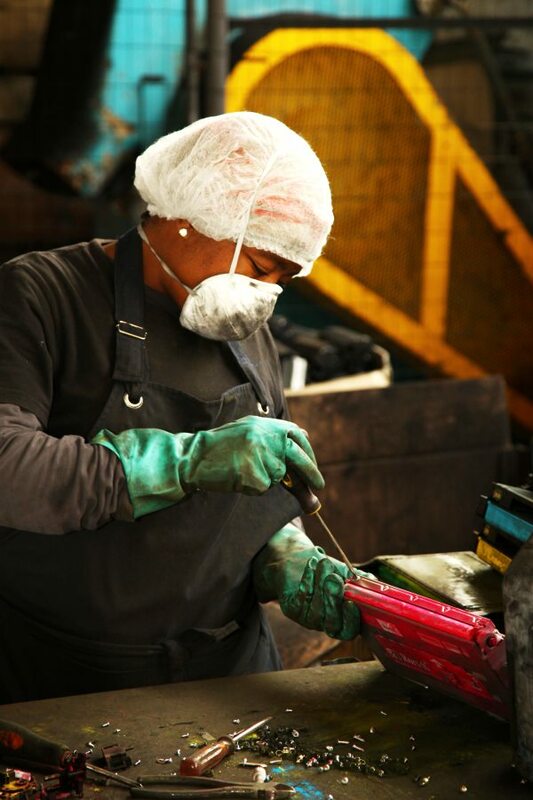 Currently, greenABLE sells the plastic, metal and aluminium to local recyclers and manufacturers, who turn the raw materials into new products. Soon greenABLE will start making laptop stands out of the recovered plastic components, adding a new revenue stream to their business. 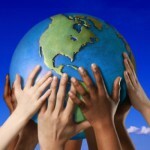 The likes of All Women Recycling and greenABLE are classified as eco-inclusive businesses. This is an emerging trend of start-ups that use sustainable production methods and have a strong social upliftment commitment. Running an eco-inclusive enterprise does come with challenges. Money is a constant worry for Worsely, as All Women Recycling is self-sustainable and relies on no outside funding. “It’s almost like working at a school playground and running a business at the same time. I have to constantly come up with new business ideas in order to be successful. I’m always on my toes,” says Worsely. The success of such businesses is uncertain because of a lack of recognition and finances. 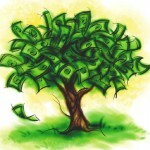 A few South African enterprises have found support through SEED. The global partnership for action on sustainable development works with eco-inclusive enterprises across to improve their resilience and success. SEED has also established a steady team in South Africa, and have this year launched Indalo Inclusive, a non-profit company that will further enable this support. “SEED has developed tailor-made support programs and standardised tools which guide these enterprises,” says Marion Müller vom Berge, SEED’s compliance and events specialist. 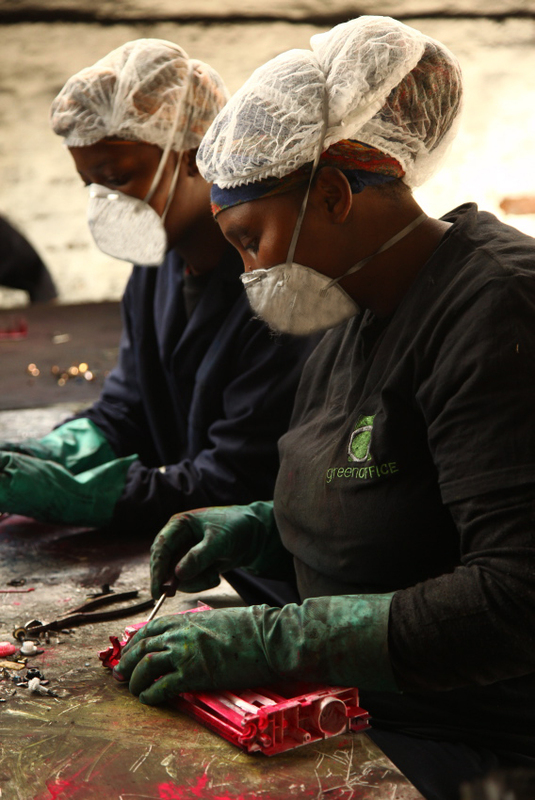 Both All Women Recycling and greenABLE have received tailor-made support which includes mentorship, business development and capacity building support, and access to SEED’s extensive networks. “Support from SEED helped us to do what we do, better. At the end of the day it’s not only the business which benefits from it, but our employees, the waste collectors and their extended families, and that’s the most important thing” says Worsely.